Will I feel pain during the treatment? Will I feel pain after the treatment? Why should we clean inside the roots? What is the duration of an endodontic treatment? What are the consequences of a dental infection? Why was I sent to an Endodontist? When is it necessary to have a root canal retreatment? What is a dental cyst? Why treating a cyst? 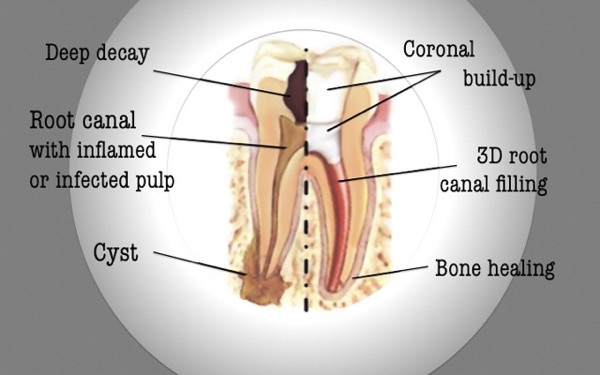 The goal of endodontic treatment is to relieve pain caused by inflammation or infection. Anesthesia is systematically carried out before the start of treatment. If you experience any pain, additional anesthesia shall be provided.